Reading is my absolute favorite activity for developing language skills! Books provide an organized, meaningful context for children to cultivate a deeper understanding of language and acquire new vocabulary. A book with pictures provides children an opportunity to visualize what they are hearing and supports their understanding of the language. Reading also develops strong imaginative abilities and it can improve attention. The more often you read to your child from an early age, the greater the positive effect on their future reading abilities and thinking skills. So, how can we compete with the bright screens and rapid changing graphics of iPads, computers, TV shows and video games? Here are some ideas for making reading something that your child wants to do, not something he has to do. 2. Ask your child questions during and after the story like, “What did Pete step in?”, “Who built their house out of straw?”, “”Can you remember something that the caterpillar ate?”, “How do you think the rainbow fish felt?”, “What would you do if?”, ”Why do you think?”, “Have you ever felt?”. Have them make predictions about what might happen next in a story like: “What do you think this story will be about?”, ”Wow! David made a mess! What do you think his mom will do?”, ”The pig just ran away. Where do you think he could be going?”, ”They were invited to a party. What do you think will happen at the party?”.” Having children make predictions and respond to questions will increase their engagement, comprehension and thinking skills. It is also an effective way of gauging their understanding of the story. Tell them your response to these open ended questions. Modeling your thinking skills is a powerful teaching strategy. 3. Make the story come to life! Using story props or dressing up is so much fun and makes the child feel the experience of the story. If you are reading a book about pirates, put on your pirate hat and if you are reading a book about princesses, get out the wand. Use story props to have the child manipulate during the story. If you are reading a story about farm animals, bring out stuffed animals, plastic animals, puppets or puzzle piece animals. Act out the words of the story with the props or let your child control the props. For your child’s favorite stories that they request to read over and over again, there are plenty of websites that offer printable story characters and ideas for extension activities. For more ideas and resources, check out our Pinterest site: http://www.pinterest.com/speechdeptes/literacy/. 4. PLAY! Use the story that you just read as an imaginative play schema. This gives children an opportunity to retell the story, use newly learned vocabulary and increase their comprehension of themes and concepts from the story. It also gives them the chance to use their imaginations and expand the story in their own creative ways. For older children, have them act out the story. This will help gain a deeper level of understanding and it will allow them to take on the perspective of different characters in the story. Most importantly, you need to have fun and enjoy this experience with your child. If you are having fun, chances are your child will be too! What are you waiting for?! Let’s get this reading party started! Jessica Drake-Simmons, M.S. CCC-SLP, is a licensed speech-language pathologist with a specialty in pediatrics. 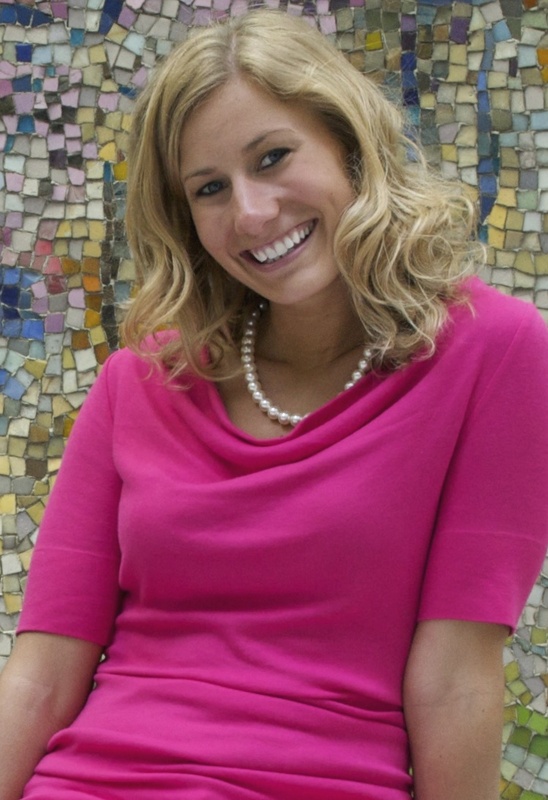 Jessica received her Master’s degree in 2009 from Eastern Illinois University in Communication Sciences and Disorders and her Bachelor’s degree from Western Illinois University. She has a particular interest in working on early communication, apraxia, articulation, receptive and expressive language. Jessica has gained valuable experience treating children in both the school and clinic setting. She loves finding ways to make targeted skills functional and meaningful in a child’s life. Jessica is passionate about supporting kids in the acquisition of communication skills and she loves making therapy fun. Jessica is grateful for the lessons that special kids with a different perspective of the world are able to teach her each day. When was the last time you remember going outside and actively playing with your children? Unfortunately, more activities are taking place inside and become the typical routine in the lives of American children. The National Wildlife Foundation cites a study completed by The Nielson Company which indicated that children ages two-five years old now spend more than 32 hours a week on average in front of a TV screen. That same study went on to claim that by the time most children attend kindergarten, they have watched more than 5,000 hours of television. According to the Kaiser Family Foundation (2010), the amount of screen time only increases with age, with school-aged children spending 7.5 hours a day on electronic media. The American Academy of Pediatrics recommends that parents establish “screen-free” zones home and that children/teens should engage with entertainment media for no more than 1-2 hours/day. They recommend avoiding television and other entertainment media for infants and children under age 2. The outdoors is the best place for any child to practice gross motor skills such as running, skipping, climbing, and jumping. Outdoor spaces also yield the best places to practice manipulative skills such as ball-handling, pumping a swing, turning a jump rope, and pushing/pulling movable objects. When children play on swings they use all of their muscles to hold on, balance, and coordinate their body. Swinging also provides the experience of cause and effect and of understanding spatial learning such as up and down and back and forth. The outdoors offers opportunities for cognitive and social/emotional development. Outside, children are more likely to invent games though which they learn about such executive function skills as problem solving, time management, organization skills, emotional regulation, and impulse control. Inventing rules for games promotes an understanding of why rules are necessary. They learn such important skill as communication among group members and how to deal with loses and gains. Outdoor play also has many excellent health benefits such as preventing obesity though active play. Outdoor play increases fitness levels and builds active, healthy bodies. 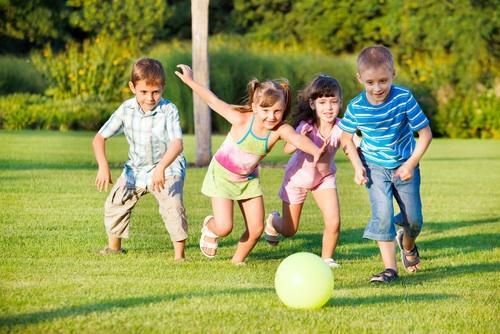 When children engage in active play outside they don’t realize that they are exercising. They view it as just having fun. Many studies now suggest that as many as half of American children are not getting enough exercise. The Centers for Disease Control and Prevention says childhood obesity rates more than doubled from 1980 to 2010. Outdoor play is also important for many less obvious health benefits such as raising the levels of vitamin D. Vitamin D has been shown to help protect child from future bone problems, heart disease, diabetes, and other health issues. Sunlight also stimulates the pineal gland which is vital to our immune system. A study reported by Optometry and Vision Science found that children who spend time outside have better distance vision than those who primarily play indoors. The outdoors offers many opportunities for the development of our sensory systems. Children learn much through their senses. Outside there are many different things for us to see, hear, touch, small, move, taste, and move. Children who spend a lot of time acquiring their experiences through electronics are only uses two senses (hearing and sight). Outdoor play is also important for reducing stressing and rejuvenating our inner spirit. Unfortunately, childhood mental health disorders are increasing. The Children and Nature Network says contact with nature can help reduce stress levels and positively impact conditions such as anxiety or attention deficit hyperactivity disorder. The American Academy of Pediatrics says outdoor play has been shown to help children focus better in a classroom setting and to enhance readiness for learning. Researchers at the University of Illinois surveyed parents of more than 400 girls and boys diagnoses with ADHD about their children’s performance in a wide range of activities. Activities that involved outdoor time were rated on average more positively. Another survey in 2010 by the National Wildlife Foundation founds that 77% of the nearly 2,000 educators surveyed felt that children who spend regular tome outside are better able to concentrate. The U.S. Department of Health & Human Services recommends that children get moderate to vigorous activity that adds up to at least an hour per day. The need to move and play outside is being recognized nationally. In June 2010, First Lady Michelle Obama formally launched the “Let’s Move Outside!” initiative as part of her broad campaign to tackle childhood obesity. During that same month, all 50 Governors declared June 2010 “Great Outdoors Month.” The Outdoors Alliance for Kids (OAK) also launched that same year with the goal to advance public policy, raise decision-maker awareness, and engage young people in the movement to reconnect children, young, and families with the outdoors. A nature walk is a great way to first introduce the enjoyment of nature. In 2013, Mayor Emanuel and the Chicago Park District launched a five-year renovation project to target the replacement of equipment of over 300 playgrounds throughout the city. For a list within Chicago please visit: http://www.chicagoparkdistrict.com/facilities/playgrounds/#.U4H6OvldWSo. According to Chicago Park District, more than 150 revamped playgrounds provide an accessible soft surface base and play elements that meet or exceed the Americans with Disabilities Act minimum standards. Out on the lakefront, 16 of 31 Chicago beaches have an accessible walkway. You can also visit (http://www.accessibleplayground.net/united-states/illinois) for a list if you live in the suburbs or are traveling within Illinois. When outside, ask your children to tell you what they’re seeing, hearing, and smelling. Maybe even create a little scavenger hunt. The National Wildlife Foundation offers some ideas on their website http://www.nwf.org/kids/family-fun/outdoor-activities/backyard-scavenger-hunt.aspx. A “listening” walk makes for a wonderful sound discrimination activity. What sounds can the children identify on their own? Which are loud and which are soft? Which are high and which are low? What are their favorite sounds? You can even bring along a tape recorder so the children can try to identify the sounds at a later time. Bring the parachute or an old sheet outside and play parachute games (shaking it, circling with it, making waves with it, or bouncing foam balls on it). Here is a link to a variety of different parachute games: http://www.playparachutes.com/pagaac.html. If your child uses a wheelchair for mobility and has upper body movement, they can still be involved by holding onto the parachute or throwing the ball inside. Many children love ball games. Here are instructions for making a homemade PVC T-ball stand to include a variety of children of different ages, skills, and disabilities (http://www.ehow.com/how_8310537_make-tball-stand-pvc.html). Pair children up so one can hit a ball and the other can run the bases. Also try using Velcro ball mitts to help when playing catch. You can also play beanbag games with larger targets for children with visual impairments or difficulty with gross motor skills. Try “water painting,” in which children paint the side of a building with a brush and a bucket of water. It exercises arms and upper torso while also teaching about wet and dry, light and dark, and evaporation. Blowing, chasing, and popping bubbles gives children a chance to run and everyone can be involved depending on their abilities. Is it REALLY almost the 4th of July? There are many ways to utilize technology while you talk about, create, eat and prepare for this special day! Check out these fun activities that can be done at home, camp or therapy! 1. Create a digital book using power point about favorite things you do around the 4th of July. Include pictures of places you go, things you see and favorite foods. Read the book leading up to the 4th to prepare your kids for the change in routine. Save it and add to it each year capturing new family traditions. 2. Play 4th of July Bingo with the entire family. Free downloadable supports can be found at http://www.speakingofspeech.com/Thematic_Materials.html#Summer and you don’t even need Boardmaker to print and use! 3. Are fireworks on the 4th of July stressful for your child? Watch this pre-made story with images and text with audio to set expectations and calm anxiety about going to the fireworks by Vizzle. 4. 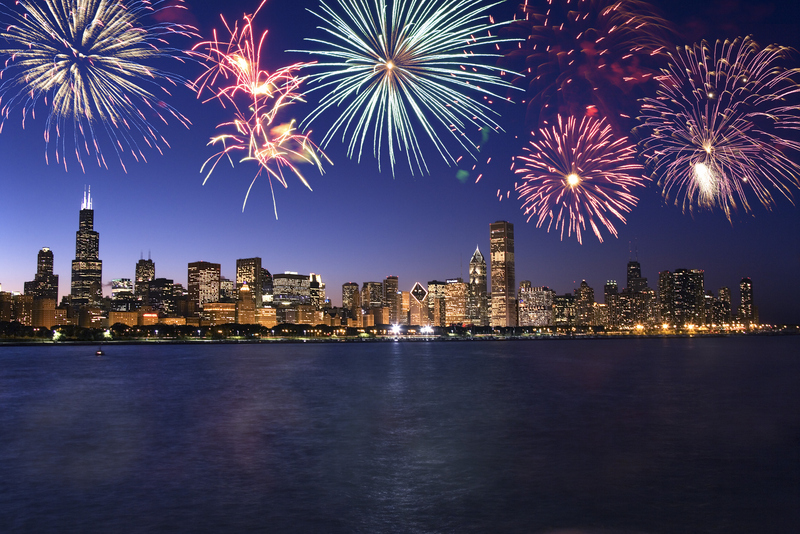 Consider bringing the fireworks right into your home on your iPad or Android device. Think about extending the use of these apps to talk about and summarize events of the 4th with pictures, writing and reading with your child! 5. Don’t forget your AAC on the 4th! Take a little time and think ahead about some ways you can incorporate your child’s communication device into the festivities. Make a list of target vocabulary words you can use that will allow your child to comment, request, direct, describe and question on this holiday! Here are a few examples of core vocabulary that can be used during different weekend events. 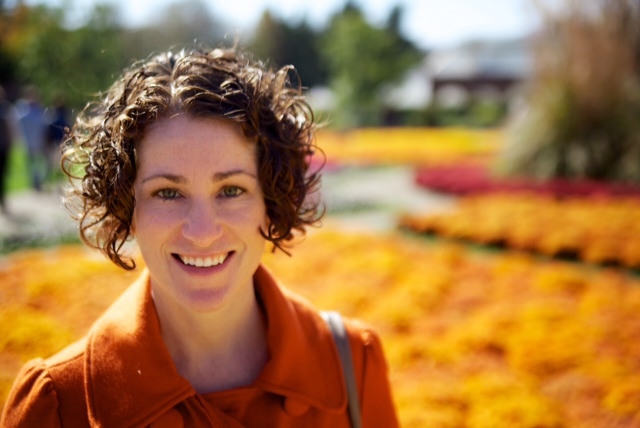 About Amy: Amy Hayward, M.S., CCC-SLP is a licensed and ASHA certified Speech Language Pathologist who has dedicated her career to working with individuals using Augmentative and Alternative Communication devices. She received her Bachelor of Science degree in Speech Language Pathology from The College of Wooster in 1997 and her Masters of Science degree in Speech Language Pathology at the University of Pittsburgh. Amy originally joined the Assistive Technology Department at Easter Seals DuPage in 2001, left to work in schools and a rehabilitation hospital, and returned again in 2013. Amy currently provides services specializing in AAC at both our Villa Park and Naperville Centers.